One Direction star Liam Payne certainly knows how to make a girl feel special – treating his girlfriend of six months, Sophia Smith, to an early birthday present that had us turning green with envy: a romantic week in the beautiful British Virgin Islands! Private Island News can reveal that the loved-up teenagers have jetted off to Peter Island, an exclusive hideaway popular amongst the likes of Hollywood legends Robert de Niro and Kurt Russell to name but a few. Priding itself on pure relaxation, Peter Island promises guests a tranquil setting in which one can truly get away from it all – just the ticket for young Mr. Payne, who’s been hitting the headlines for all of the wrong reasons of late. 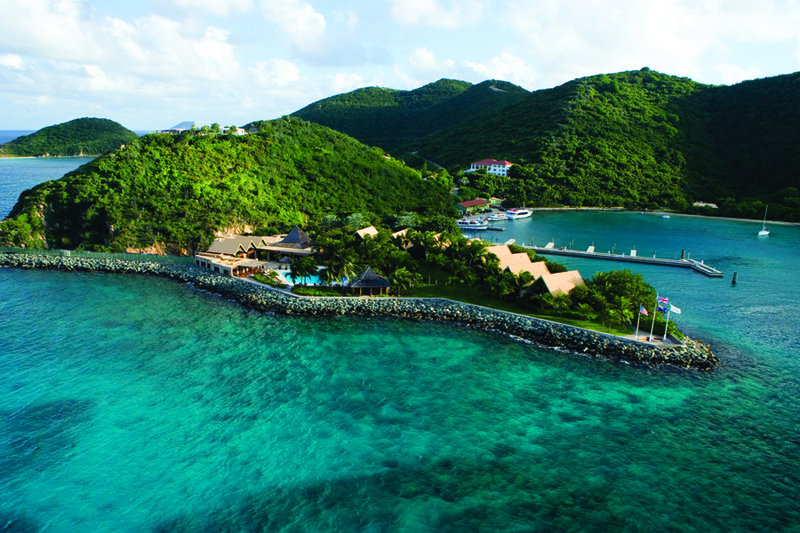 Home to sensational spa facilities, exceptional open-air restaurants, and an array of intimate beaches and coves, it’s no wonder that Peter Island is considered to be one of the Caribbean’s most romantic retreats. Liam and his girlfriend have already taken advantage of the island’s incredible pool facilities, with the singing sensation turning to Twitter to post several pictures of the pair lounging around their private plunge pool and generally soaking up the sun in style. 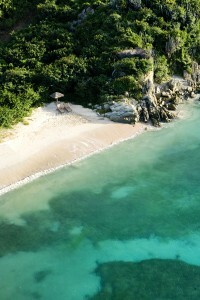 The couple are said to have taken up residence in the Falcon’s Nest Villa – one of the island’s most luxurious abodes. 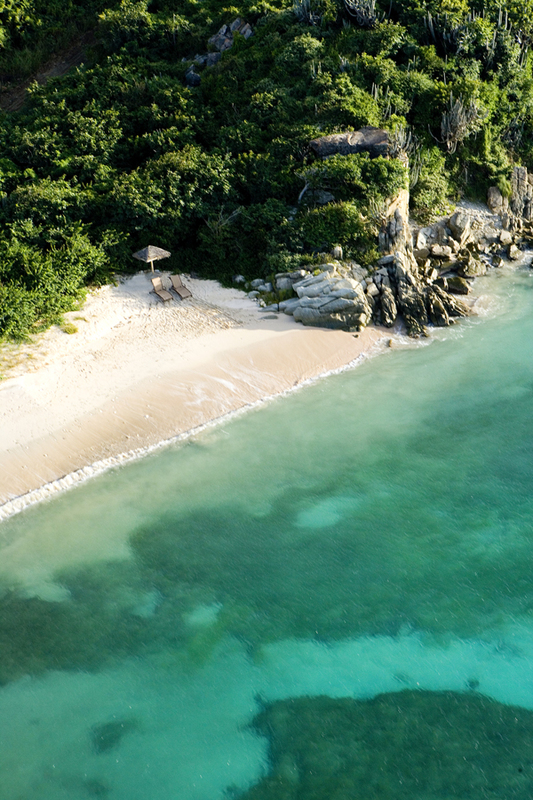 Elevated high above the Caribbean Sea, the Falcon’s Nest is more than 22,000 m² of pure indulgence, home to its own infinity pool and built-in hot-tub, a waterfall grotto and incredible ocean views which are simply to die for. The One Direction boys seem to be big fans of the BVI, with Liam’s fellow Directioner, Harry Styles, once enjoying a hedonistic holiday on Necker Island, directly after his dramatic split from singing star Taylor Swift. 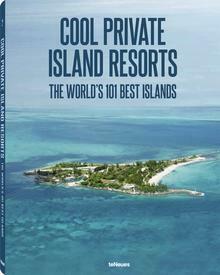 Private Island News would like to extend an appeal to the rest of the group: Zayn, Niall and Louis – if ever you need help choosing your own island retreat, the Private Island News team would be more than happy to help! To find out more about Liam Payne’s romantic retreat or book your own stay on Peter Island, our friends at Vladi Island Travel would be only too glad to be of assistance!